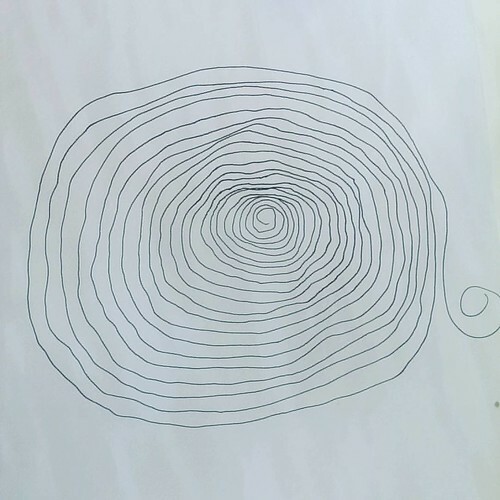 At today’s Blog Club we did an exercise to kick off with. We had ten minutes to write twenty-five titles of blog posts we’d like to write. I ignored the “like to” bit and just wrote as many off the top of my head titles I could think of. I came up with thirty-five. The thing is, when you let go of actually having to do anything with them, you can come up with a lot more than you’d imagine. The next bit of the exercise was to choose five to actually write (one of which was “Ten blog posts I’ll never write” which I’ve turned into this one). How huge is this artichoke? 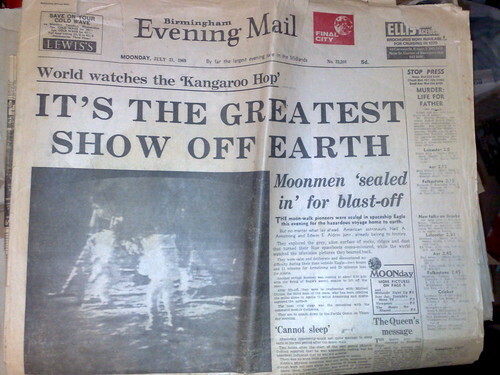 Is there anything bigger than this experience? On second thoughts, I probably will write some of these. But what were the other five? Ten (thirty) blog posts I’ll never write. “Productivity and the conditions that we need for it” was just suggested and settled on as today’s topic at Blog Club. 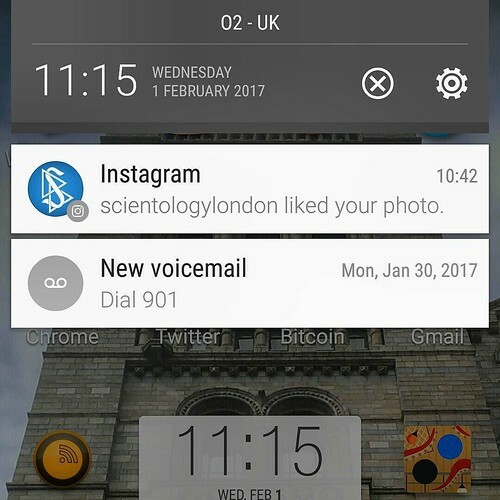 In the few minutes that we were talking about it, I noticed on my phone that scientologylondon had just liked this photo of mine on instagram, so I screenshot it and instagram the notification. Bam! I just created some new content and put it out into the world for my followers! I’m so productive! Take the rest of the day off, Davis. I had, only moments before, been preaching about social media addiction, how things like pinterest and insta can swallow my time and take me to a place that’s a bit dark and definitely poor. So, my sermon continued, for me being productive is much more connected to creating engaging content that connects me more intimately with people and helps build good business relationships. Blah! This is my problem with the P word – it assumes a whole raft of things about what I’m doing, why, and how I get things done these days. The lines between having fun, being seen to be having fun, being seen, getting to know people who might be interested in what I’m doing and making mutually valuable connections with those people are all getting waaaaay blurred. Sometimes we need black and white rules in order to deal with the bazillion shades of grey in everyday life. So my black and white is currently no new shiny things in work hours, focusing on being real with people and building relationship here and now, really, with you to see how you can help me and I can help you – and in order to do that I have to put down (sometimes one minute at a time) the Trump stories, the Brexit saga and anything else that starts with “OMG I can’t believe they just did that” get quiet and chat with you over a coffee. What gets me there? Self care, self care, self care. Knowing myself well and forgiving when I screw up; connecting with love and support with everyone I know, taking a good look at myself regularly, not taking myself too damn seriously, oh some self care (a walk at lunchtime, a healthy meal, a good nights sleep). You know, all that stuff. PS ultimately, I hope for the time when I can say “my productivity is not dependent on my conditions” but, well, probably not today! From this Monday, I’m going to be hanging out (as full-time as I ever do such a thing) and working in the Euston co-working space atworkhubs with the lovely Philip Dodson and Bernie Mitchell. I’ve been to a couple of Blog Clubs on Wednesday morning and there’s also a Write Club on Thursday mornings (short planning session, get into writing for an hour and a half, quick group review). And I think Art Club too but I can’t find a link for that! It’s a nice convenient space, right next to Euston and Euston Square stations with just the right balance of people – not too mad noisy, not too dead quiet. They have an affordable and flexible range of membership options including day passes so if you’re looking for somewhere straight off the train at Euston, it’s a real goody. Anyway I’ll be there and it would be good to see you too. Ping me if you’re nearby and up for a coffee or something. At the moment, I’m expecting to see some 1:1 clients there; run some workshops; hold some evening or breakfast events etc., but I’m open to suggestions, let me know if there’s something you think I should be using the space for. I’ve been playing for the last few days with a new-ish blogging, social-networking, blockchain platform called Steemit. If you do, please follow me, upvote on my pictures post and leave a comment! It’s not the complete future of blogging and social networking. And it’s not even the complete future of blockchain incentivised micropayments either. But it’s interesting to see (and speculate on) how a tipping incentive associated with posting, upvoting and commenting can work – both in terms of the actual payments made (very small!) and the effect that has on you to keep going, or not. Of course, there’s a white paper but yeah, the currency and its derivatives are complex – I’ve given up for now on completely understanding how everything relates, what the numbers actually mean and just seeing what happens if I keep playing the game. Cos you can just use it as a blog where most of the other users are libertarian, crypto-anarchist/capitalists with a few cosplayers and furries mixed in. I don’t like it. I don’t like writing about blogging, but sometimes it needs to be done to be cleared out of the way. 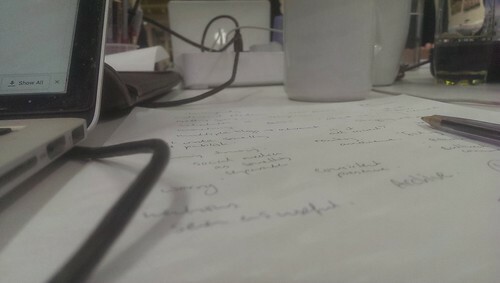 If I write on paper about writing on paper that seems OK because it’s only here on my table and it might just go in the bin or in that file of many ideas not quite finished enough. I’m angry about it. I’m angry about the way we, me too, I have let it slip away, have let others take the form and make it more like what they wanted to do in the first place. And then decided that I needed to fit in with that. We’ve made our newspapers into gigantic blog-like content machines, but none of them have much of the spirit of the people who write them, they’re just self-serving self-obsessed web-borgs. A real person is in here, behind this screen, behind these words you’re reading. With all the ups and downs and back and forth and painfully, oh jesus, p-a-i-n-f-u-l-l-y slow learning about life and how to do it and who I might be and how not to be who I’m not. But even I’ve forgotten that and started to believe that what I write here needs to be a certain way, needs to deliver “my message” to “my audience”, get more hits, trigger more likes, avoid feelings, avoid criticism. It doesn’t. And it seems I need reminding of that every now and then. Maybe you do too. All right, thanks for listening, go back to what you were doing.